More than 90 bike riders hit the highway for Tour de Chaplain – a gruelling 100km journey to raise awareness and funds for school chaplaincy in Central Queensland. From the town of Many Peaks to Yurwun, the riders battled cold, wind, and exhaustion to finish the journey, raising more than $23,000 for 12 chaplains who work at 19 schools in the Gladstone region. Rider and chaplaincy trainer, Bruce Dobbin, said the Tour de Chaplain was an important support for the school chaplains in the region who play a vital role in supporting students going through struggle. 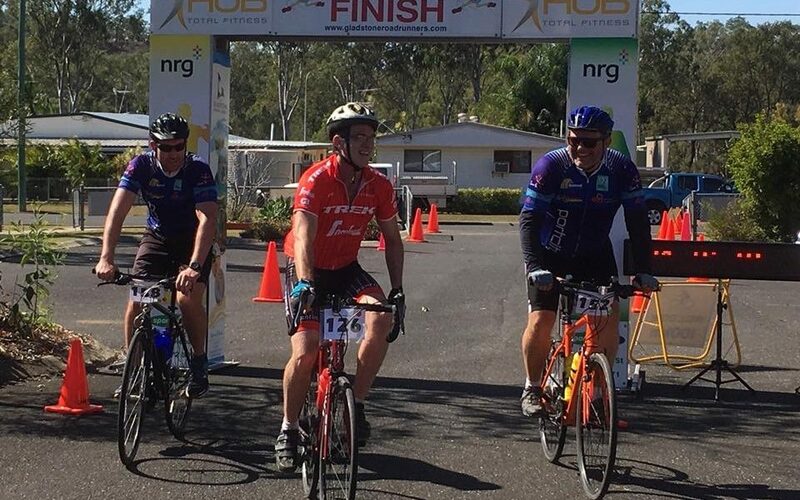 “I was already keen to get involved in the event this year, but a recent story one Central Queensland chaplain told me gave me that extra motivation to crack out the lycra again and take part this year,” Bruce explained. Gladstone Central and Tannum Sands state schools chaplain Geoff Parnell (pictured in the red jersey) got a distressing call at the end of the Easter holidays from one of his school principals. “The principal relayed the sad news that a student lost his Dad to suicide in the last few days. He pleaded for me to assist him by supporting him on the first day back to school,” Chappy Geoff said. Bruce said the Tour de Chaplain was an amazing event to be a part of, particularly knowing the vital role that chaplains are playing in the community. “It was great to be part of a really well organised chaplaincy event which enjoyed strong support from the various communities in which the chaplains work,” he said. “The morning began with a breakfast cooked by the local Lions club in a park on the banks of Deception Creek Dam and it was all downhill from there – at least for the first 20Km. “It was great to ride through farming country alongside other people committed to the same cause. There were many volunteers providing refreshments and cheerful encouragement along the way. School chaplains like Chappy Geoff are passionate about helping our young people find hope it times of struggle and sadness. You can support this great work by visiting suqld.org.au/donate.